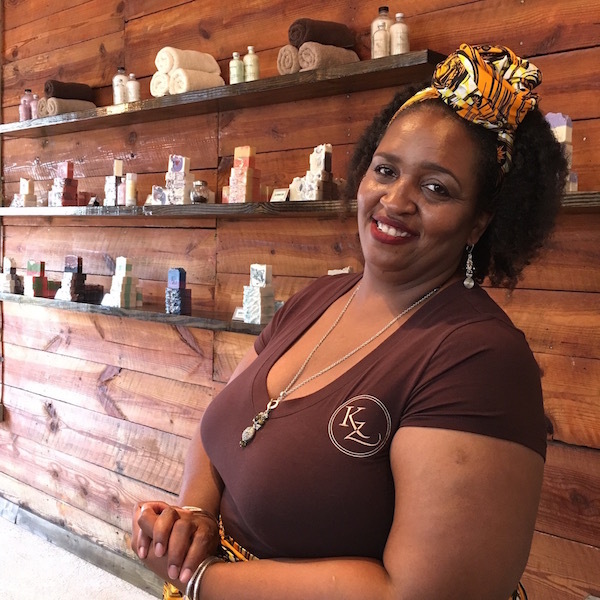 Komfort Zone was founded eight years ago in Bridgeport, Connecticut, while the creator was enduring her “going natural” hair journey, she began to look at the ingredients in the soaps, shampoos and lotions that she was using. It was during this time also that her son's eczema was getting out of control and switching him to using a natural bar of soap helped his skin tremendously. After receiving positive feedback, Komfort Zone products have since expanding to Body Butter, Soy Candles, Solid Lotion Sticks, Sugar Scrubs and Beard Oils. These luxury soaps are hand crafted, and made with a great deal of care. Some of the staple ingredients in the soaps are: Olive, Coconut, Castor and Palm Oils, Shea and Cocoa Butters. Goat’s Milk and Buttermilk are often used in some recipes as well. Infused with a custom blend of Pure Essential and Premium Fragrance Oils, each product reaches the perfect harmony of deliciously tantalizing aromas and aesthetically captivating appeal. They are as fragrant as they are hypnotic- enticing all the senses.